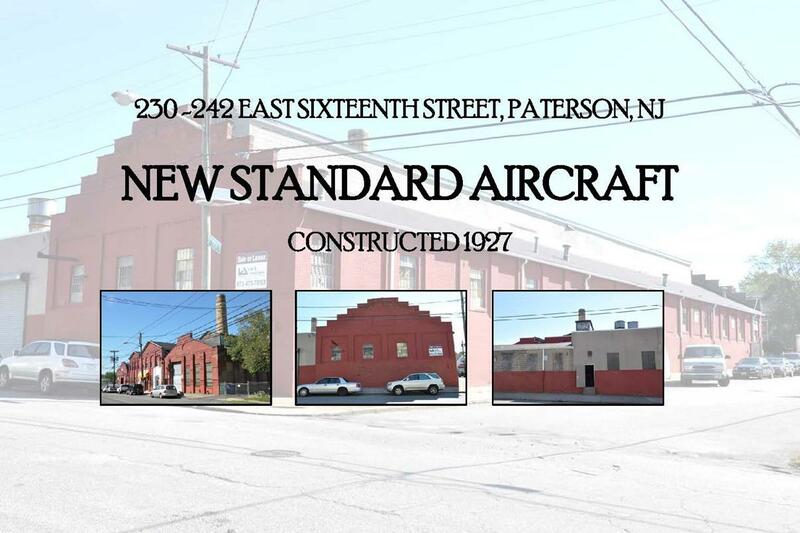 New Standard Aircraft began in Paterson 1927 as the Gates-Day Aircraft Company, manufacturers of airplanes. The founders were Ivan Gates of the Gates Flying Circus and Charles H. Day, who established a manufacturing plant at the corner of E. 16th Street and 8th Avenue in Paterson. This was the former site of the Perfection Silk Dyeing Co., whose buildings were demolished to make way for the Gates-Day plant. Paterson had a long-established population of skilled machinists from the textile machine and locomotive works. The founding of an aircraft manufacturing plant in Paterson capitalized on the pre-existing population of skilled machinists in the area. Gates-Day sold planes on the civilian market and developed a number of biplanes. They updated the Standard Aircraft Corporation Standard J-1 United States Army aircraft trainer for civilian use. After Day left the company in 1928, Charles L. Augur took over as president, at which time the company name changed to the New Standard Aircraft Company. Despite initial success in the aviation market, New Standard Aircraft weakened during the Great Depression. In an effort to save the company, Day returned as firm president in 1930, only to sell his financial interest in 1931. Later that year, the company went bankrupt. The failure of the company eventually led to the suicide of co-founder Ivan Gates in 1932. The New York Pressing Machine Corporation, manufacturers of steam pressing machines and steam-electric pressing appliances, eventually occupied the former New Standard Aircraft site. The footprint of the site on 1950 Sanborn maps is identical to that on 1931 maps, suggesting the New York Pressing Machine Corporation did little to expand upon the facilities. Little is known about the history of this corporation. Today the site houses a variety of light industrial and commercial enterprises, including a wholesale appliance sales and repair shop. Hyde, E. B. Atlas of Passaic County, New Jersey, 1877. Robinson, E. Atlas of the City of Paterson, New Jersey, 1884. Robinson, E. Atlas of the City of Paterson and Haledon, New Jersey, 1899. Mueller, A. H. Atlas of the City of Paterson, New Jersey, 1915. Sanborn Map Company Insurance Maps of Paterson, New Jersey, 1915. Sanborn Map Company Insurance Maps of Paterson, New Jersey, 1931. Sanborn Map Company Insurance Maps of Paterson, New Jersey, 1950.